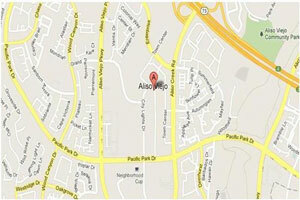 Have you searched for Aliso Viejo sewer camera inspection services? Today, many homeowners request this assistance to detect sewer leaks. These leaks cause unpleasant odors. If you suspect a leak in one of your home’s sewer pipes, you’ll want to explore this money-saving service. Visit us here at Scott English Plumbing based at 1230 N. Jefferson Street, Suite H in Anaheim, California 92807. 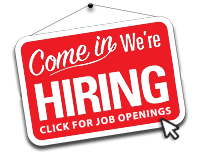 Call us at 714-987-9801 or 949-462-9773. Ask us to perform an Aliso Viejo drain inspection using a high tech sewer camera! Why do customers prefer an Aliso Viejo video camera inspection of sewer pipes? We use tiny high tech digital cameras. These cameras help us locate underground leaks in water and sewer pipes very quickly sometimes. Instead of digging up a customer’s yard or driveway to find a leak in an underground pipe, we perform an Aliso Viejo drain inspection with a camera. Consider using our drain line camera inspection in Aliso Viejo services. Many plumbing companies don’t offer this type of high tech service. We do! It helps us assist our customers more effectively. When we locate underground pipe leaks using a camera, we usually don’t need to perform extensive digging to detect leaks in sewer pipes. A Video Camera Inspection in Aliso Viejo May Help You Save Money! A video camera inspection in Aliso Viejo enables some customers of Scott English Plumbing to save a lot of money. How can this service help you? If we can find the source of a leak in an underground pipe quickly without digging, it saves our customers money. We prefer to find sewer pipe leaks this way. It often means work crews won’t need to dig through driveways, yards, gardens, or patios to find and fix smelly underground sewer pipe leaks. Sewer camera inspection services usually help homeowners save money! 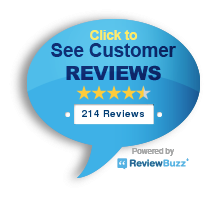 Request Sewer Camera Inspection Services Now! Have you searched for a local plumber who uses high tech sewer camera inspections to help customers? You’ll want to contact us here at Scott English Plumbing. Call either 714-987-9801 or 949-462-9773 right away! We offer estimates. Ask us to schedule a service call to help you find (and fix) a smelly underground sewer pipe leak quickly and cost-effectively. Remember, when it comes to reliable and affordable Aliso Viejo sewer camera inspection services, we’re always the ones to call!